It's no surprise that Hawai‘i is showered with Japanese influence. From the moment visitors arrive at Daniel K. Inouye International Airport (Inouye, the longest-serving Hawai‘i U.S. senator, was Japanese-American), drive past the Izumo Taishakyo Mission in downtown Honolulu and head into Waikīkī, they experience firsthand how Japanese culture is tightly woven into the fabric of our state. The rich cultural ties between the Aloha State and the Land of the Rising Sun are part of the reason why 1.6 million Japanese travelers visited Hawai‘i last year, including almost 392,000 who started their vacation early by enjoying our in-flight Hawaiian hospitality. We’ve had an exciting eight years in Japan as it continues to be a major focus for our airline. 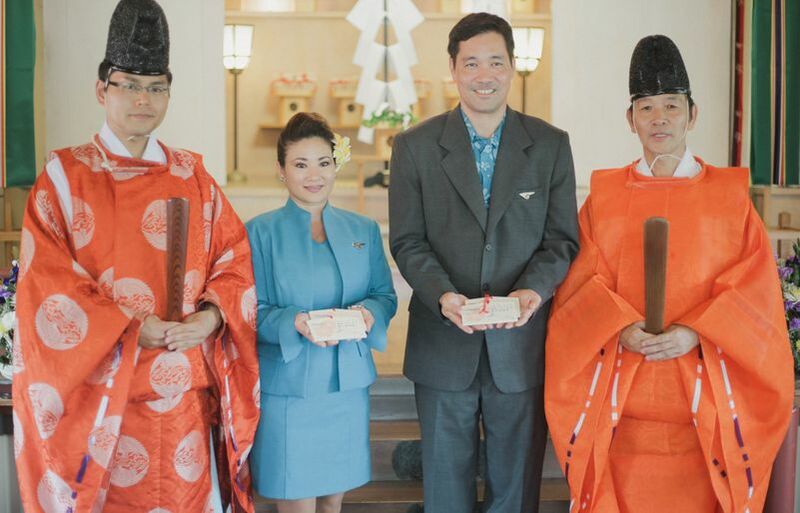 Since we entered the market with our Haneda-Honolulu service in 2010, we’ve celebrated the launch of four additional routes connecting Osaka, Sapporo and Narita to Honolulu, and Haneda to Kona on the Island of Hawai‘i. We also filed a joint venture (JV) application with Japan Airlines (JAL). Hawaiian Airlines exclusive ema were dedicated to the Izumo Taishakyo Mission of Hawai‘i in Honolulu during the 2016 launch of our NRT-HNL nonstop service. Pictured left to right are: Rev. Jun Miyasaka, Hawaiian Airlines Promo Team members, and Bishop Daiya Amano. 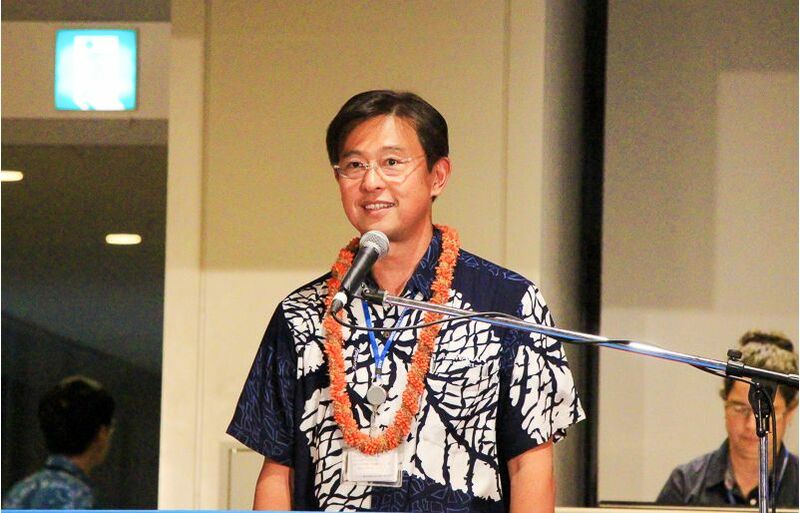 In 2013, Japan Country Director Takaya Shishido joined our ‘ohana to lead our company in Japan with aloha. An airline veteran with over 30 years’ experience, Takaya’s strategic direction and knowledge have played a critical role in building our strong presence in Japan. 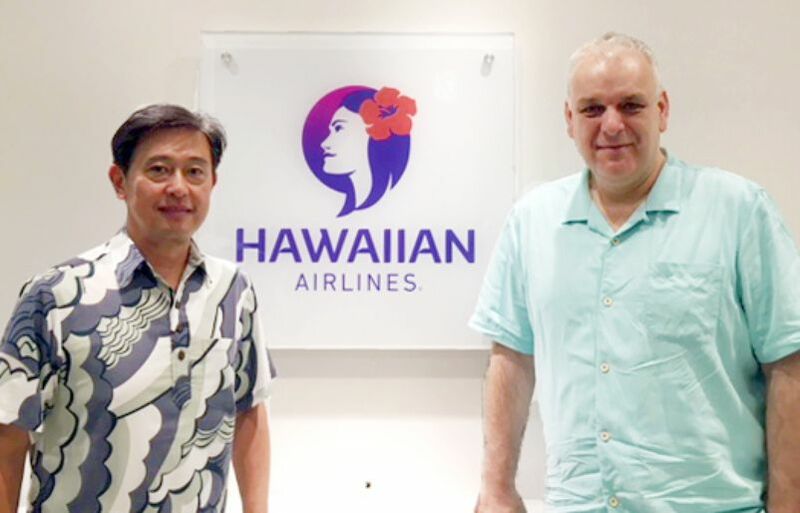 To help support our growing business in Japan, Theo Panagiotoulias, senior vice president of global sales and alliances, recently relocated from Honolulu to Tokyo, signifying Hawaiian’s continued dedication to the strength and promise of this special market. We sat down with Theo and Takaya at our Tokyo office in Kasumigaseki to learn about the important roles they play in-country and how they enjoy Japan outside of the office. What are your individual roles and responsibilities at Hawaiian Airlines in Japan? 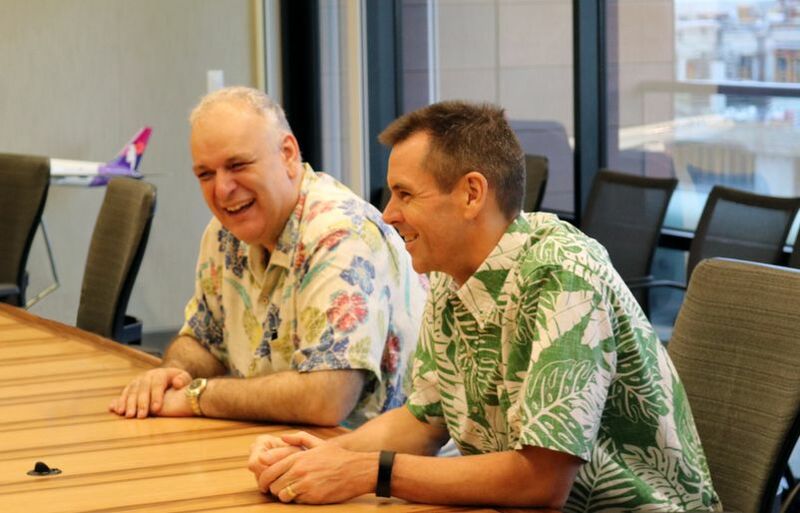 Theo Panagiotoulas (left) and Hawaiian Airlines President and CEO Peter Ingram (right) are pictured during a meeting at Hawaiian Airlines' Honolulu headquarters. Tending to the JAL JV. 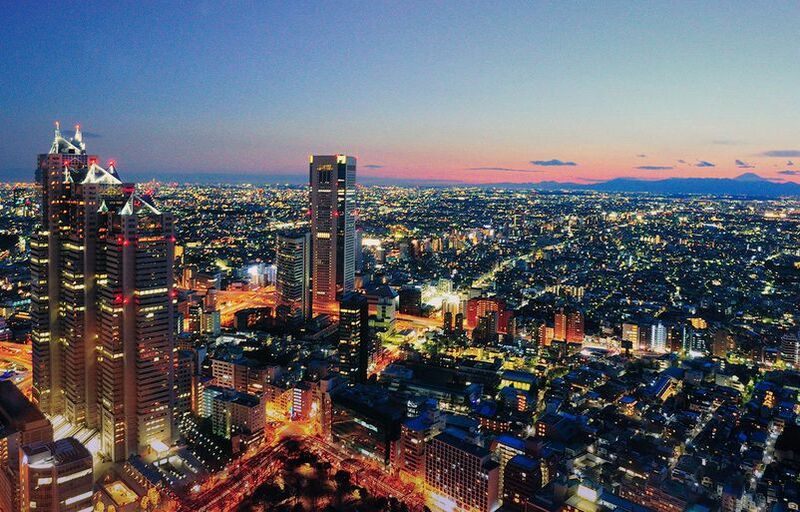 Being based in Tokyo will allow me to interact more closely and regularly with JAL’s senior executives as we deepen our partnership and launch this exciting initiative. Being in the same time zone and near key international markets. Japan, South Korea, Australia and New Zealand are the focus of our growth in the Asia/Pacific region. I can now work with executives from our international business partners five days a week, as opposed to three days a week when I was in Honolulu and up against a 19-hour time difference. Our North America business is mature, and I'm able to help manage it remotely with my experienced sales colleagues based in our Honolulu headquarters (nicknamed “Koapaka” after its street address). On top of that, I spend at least one week per month at Koapaka. Takaya: My role as Japan country director is to lead Hawaiian Airlines and our commercial operations in Japan. In particular, I’m developing and executing sales and distribution strategies, and managing revenue on a short- and long-term period. I am proud to also represent Hawaiian Airlines throughout the entire Japanese community, the government and business sectors. What’s on the horizon for Hawaiian Airlines in Japan? Theo: The important thing about Japan is that we have established a very strong presence in a short amount of time. Hawaiian Airlines has only been operating here for eight years. In the last three to four years, we have expanded aggressively and have been successful in doing so. Our role is to build on that strength, considering the competitive dynamics and the expansion of our JAL partnership. As we all know, business does not stand still and it was essential that we seek to establish a partnership of our own that would not only compete effectively with what the market offers but surpass it with a unique value proposition that only we as Hawaiian can deliver to consumers. And with the JAL partnership, I am confident we have and will achieve that. Theo poses with JAL and Hawaiian Airlines' model aircraft in Honolulu. The comprehensive partnership, which was announced in September 2017, will greatly enhance the ease and comfort of travel for passengers traveling between the two island chains. We’ve recently embarked on the first phases of our JAL partnership, which involves code sharing and participating in JALPAK – Japan’s first premier overseas package tour company operated by JAL. We are the first airline to participate in JALPAK, which has only been available to JAL subsidiary partners. We, as a company, can capitalize and leverage the benefits of that partnership. Once we secure approval from the U.S. and Japanese governments for our proposed anti-trust immunized JV agreement, we can offer consumers more choice as we more effectively compete with two existing JVs [in the Hawai‘i-Asia market]: Al Nippon Airways/United Airlines and Korean Air/Delta. When the JV is achieved, we can chart our expansion plans together. We don’t know what that will look like until we attain anti-trust immunity (ATI), however, increasing frequency and adding additional service is our aspiration, and both would be a challenge without the JAL partnership. Coordinating with JAL puts us in a great position and gives us great confidence in expanding our capacity. Why is the Hawaiian Airlines brand a good fit for the Japanese consumer? How do we stand out compared to market competitors? Takaya: Once our government was deregulated in 1964, Hawai‘i became an option for Japanese people. Since that time, the Hawaiian Islands have been the number one international leisure destination for Japanese travelers. Through our flight attendants and hospitality-focused service, Japanese guests feel like they are in Hawai‘i the moment they are greeted by one of our employees at the airport. For many, it’s their dream destination. 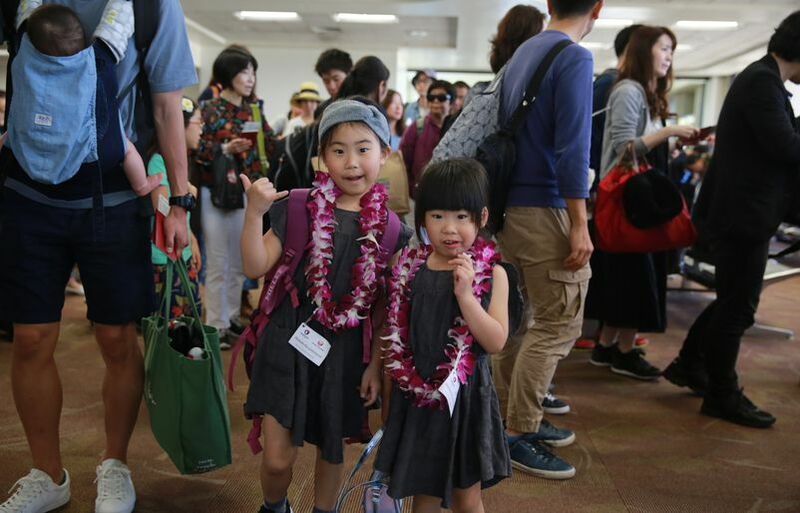 Japanese keiki (children) waiting to board their flight to Tokyo during the celebration of the JAL codeshare partnership at Honolulu's Daniel K. Inouye International Airport. Our competitors are working hard to achieve the same sentiment as well. My in-country team is constantly working to identify new and creative ways to introduce our signature Mea Ho‘okipa (I am host) hospitality to the modern-day Japanese consumer and keep our exceptional products and services up-to-speed with Asia’s evolving travel trends. Every day the market is changing and diversifying; customers were once buying package tours, but many are now focusing on individual travel. We must focus on our guests’ needs and continue to adjust our services to match what they are looking for in an airline. 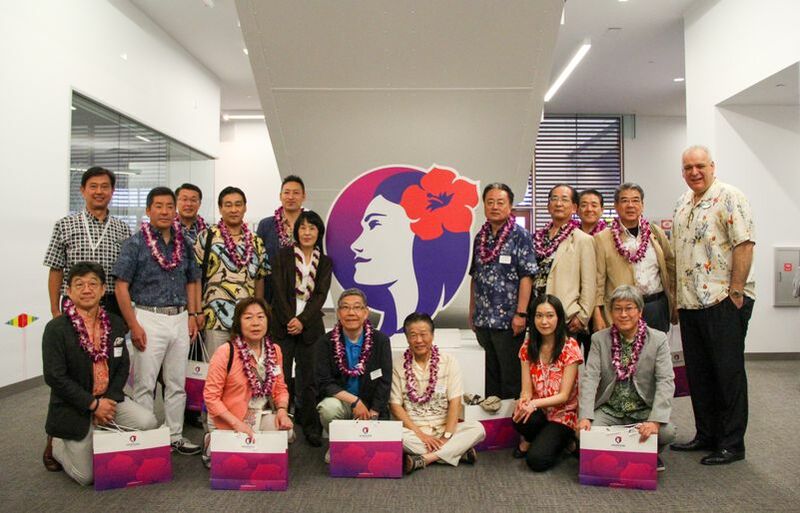 In the past, what has worked well for Hawaiian Airlines in the Japan market and what lessons have we learned to continue delivering unparalleled Hawaiian hospitality to our Japanese guests? Theo: The genuine aloha spirit that our people demonstrate on a day-to-day basis has resonated very powerfully here. When people go on vacation, they want to remember and maximize that experience. As a company, we’ve also done a great job of recognizing how we need to adapt our offering with respect to cultural differences. For example, we offer Japanese-inspired cuisine and make sure we have Japanese speakers available in the aircraft or on the ground. Striking the right cultural balance whilst maintaining our core brand offering that makes us uniquely successful are the keys to our success, and our performance in such a short period of time validates our strategy. We have also established and invested in very strong business partnerships with distinguished travel companies throughout Japan, such as JTB, HIS and other valued partners. We’ve made our product available across all channels, including travel agencies, closed user groups and our website. Theo and Takaya hosted Hokkaido government representatives at Hawaiian's headquarters in 2017, giving a behind-the-scenes look at our company and sharing their business vision for Japan. Takaya: Prior to joining Hawaiian Airlines six years ago, I worked in the corporate sales arena. During that time, I learned that leisure sales is simple and successful for one reason: people are always willing to invest in themselves. As Hawaii’s destination carrier, we must constantly review our status and services and make sure that we are providing value to a very value-conscious group because our guests are often paying out of their pocket. What are your goals for the company and moving Hawaiian Airlines forward in Japan? 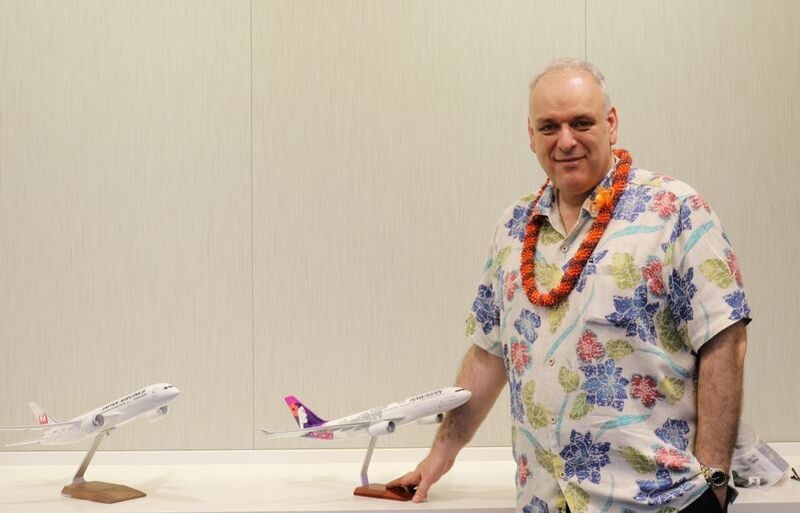 Theo: My primary goal is to make sure we strengthen and solidify Hawaiian Airlines’ position in Japan and that we are focusing on the long-term success in this market. As we continue to establish our longevity, we will continue to grow and expand. Takaya: I want to see Pualani (Hawaiian’s “Flower of the Sky” female icon adorning the tail of our aircraft) make her appearance in more parts of Japan. My goal as the country director is to make Hawaiian Airlines the number one carrier in Japan for travel to Hawai‘i. 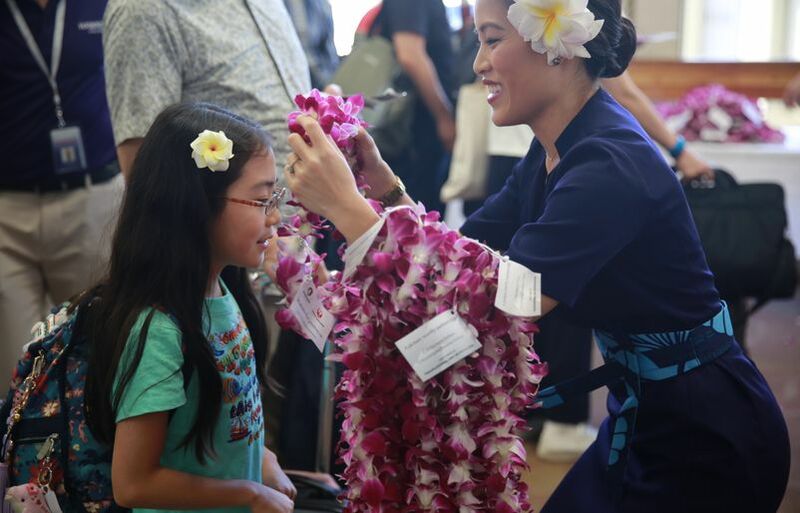 A young Japanese girl receives a celebratory lei before boarding the first Honolulu-Tokyo codeshare flight by Hawaiian and JAL in March 2018. 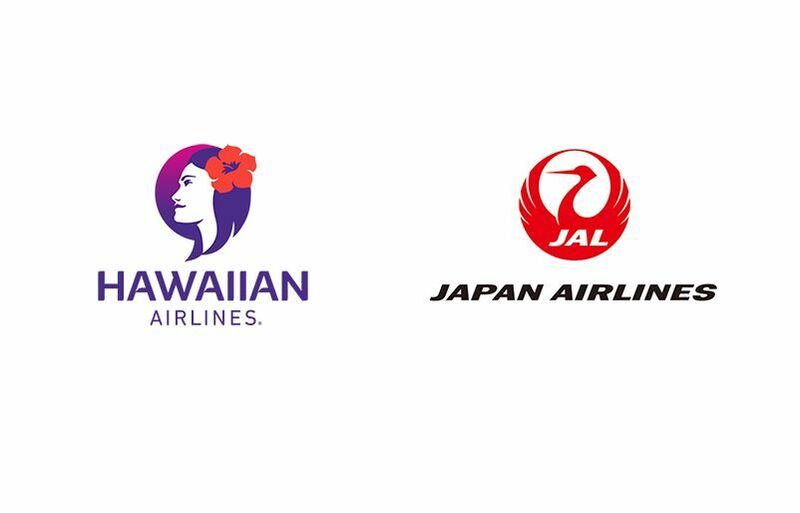 Hawaiian and JAL currently enjoy codeshare and frequent flyer benefits. What do consumers, and both carriers, stand to gain from your proposed JV? There will be more competition in the marketplace. To compete, we need to offer alternative choices to guests and develop more aggressive benefits than what currently exists. Our guests will get more choices, options and convenience. Once we attain ATI, we’ll have the ability to coordinate schedules with JAL to create itineraries that wouldn’t otherwise exist. By having that ability, we can adjust the schedules to correspond with JAL flights, resulting in more options for consumers. What’s a fun fact that most people don’t know about you? Theo: I am an Australian national of Greek origin, live in Japan and work for a U.S. multi-national company. I was born and raised in Australia, where I’ve spent half of my life, and have lived in six different countries (Japan, Australia, North America, Greece, China and Singapore) over the course of the last 20 years. I speak three languages: English, Greek, and enough Japanese to barely get by! Takaya: I’ve known Theo for 20 years now and have worked with him for 18 of those years. We met in 1999 and worked for the same company before working together again at Hawaiian Airlines. I also have a personal goal to climb Mount Fuji! Mt. Fuji viewed from behind Japan's Chureito Pagoda. Theo: I don’t have a standard day and that’s how I like it. I need to be pivoting constantly across different time zones and different cultures. Though usually when I wake up, I have breakfast and review what is going on at Koapaka. Throughout the day, it’s mostly conference calls and/or business meetings. I am the only senior executive at Hawaiian Airlines who is no longer based at Koapaka, so it is critical for me to stay in close coordination with those in Hawai‘i. I spend an enormous amount of time on the phone, talking to people, offering support and advice and providing my own perspectives. I heavily rely on my direct reports and their teams, who have both the in-market knowledge and subject-matter expertise, to find solutions to challenges. Throughout the morning, we work closely together, and I facilitate and support discussions that allow us to make the best-informed decisions. After lunchtime, I can catch up on other work since (due to the time difference) everyone in Honolulu has gone home for the day. I spend a disproportionate amount of time working with external partners and stakeholders such as government bodies and regulators in addition to closely working with JAL executives. I also do a lot of work travel to our various global markets and advocate for the company. Takaya: After I wake up, I eat breakfast, read the local newspaper and commute to our Tokyo office by train. I usually start my workday around 8 a.m. and am constantly collaborating remotely with the team at our Honolulu headquarters. After lunchtime, I will usually attend a meeting with one or more of our business partners or Japan’s government officials. My day often ends around 7 p.m. and I’ll go back home to have dinner with my family and enjoy some personal time. 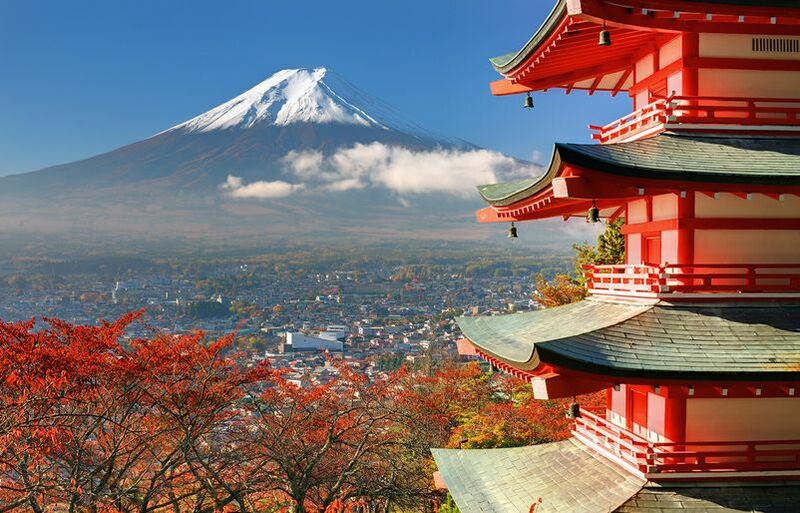 What are five of your must-see destinations while in Japan? An aerial shot of Tokyo. Hawaiian Airlines launched its first route to Japan in 2010, connecting Honolulu and Haneda with nonstop service. Outside of work, what do you most often find yourself doing in your spare time? Theo: Eating my way through Tokyo or any other city I find myself in! When it comes to cuisine, I think it symbolizes diversity. One of the great things about Japanese culture is the deep relationships you make, and I’ve been fortunate to establish those over the dining table. Takaya: I enjoy cycling on days when the weather is nice. I don’t do long distances but will usually explore the neighboring towns, particularly the Yokohama area.